Hosting and cloud enablement services are in high demand in business today. There are hundreds of service providers all offering incredible service, making it difficult for people to decide who to partner with to provide the right service for the company. For over 20 years, Symbiotics have worked closely with customers who have entrusted us to develop software to meet their business needs. Following the successful delivery of the finished product, we are often asked to further assist by taking the burden of hosting and managing these applications off their shoulders. We do this by hosting their applications in the cloud giving them anywhere, anytime, secure access to the applications and freeing them up to focus on their core business. Through this service, we have gained vast experience in hosting software on behalf of our customers. We have also strategically moved our own business into the cloud and have faced and overcome the challenges that this change can bring about. ensuring that your applications are protected, accessible only by those with assigned permission. designed to exploit the cloud features, enhancements, maintenance and support. aligned to meet your business needs. to keep your systems current and vendor supported. so that you pay only for what you use. to your applications anywhere, anytime. which optimizes application availability and response time. With the exception of the custom software development services, all the other services are managed transparently. In summary we offer a one stop shop accountable for keeping your systems up and running, cost effectively with little to no demand on your time or input. We have seen how doing our job well enables our customers to be more productive in growing their business without having to concern themselves with the challenges of managing an IT department. Thank you for exploring our cloud service offering. Its unlikely that this short introduction has answered all of your questions, so please get in touch and we’ll gladly meet with you to provide more answers to your unique requirements. 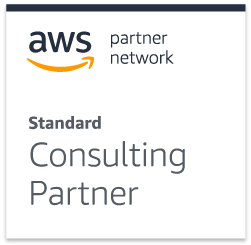 Thinking of Moving your Business to the AWS Cloud?